Schlaraffia is a worldwide German-speaking society founded in Prague (Czech Republic) in 1859 with a pledge of friendship, art and humor. The Schlaraffen, members of a men's organization (many of a mellower age and in secure positions), meet in midwinter (October 1 – April 30) once per week in their Schlaraffen castle (equipped in the style of a knight's tavern from the Middle Ages) for "Sippungen" (gatherings which take place in the fixed ceremonial form of a knight's play). In doing so, everyday life is satirized as well as kept alive through recitations of literary and musical forms. An antiquated language with its own vernacular for everyday things (Schlaraffen Latin — for example; "powder pot" for tobacco pipe, "gasoline horse" for car, "castle monster" for mother-in-law) gives the Sippungen their own humorous note. The approximately "reychs" (local clubs) stay in close contact with one another. Each Schlaraffe is always welcome in every reych in the world. Schlaraffia® ia a 160 year old international organization with over 9,900 members in over 260 chapters in 20 countries world-wide. Chapters currently exist in Europe, north, central and south America, Asia, South Africa and Australia. New members must be introduced by a Schlaraffe (godfather), complete a probationary period before a general vote is recorded, and start their career as knave, which leads from the position of squire to knight. Important artists were and are Schlaraffen (for example, Franz Lehár, Gustl Bayrhammer, Peter Rosegger and many more). 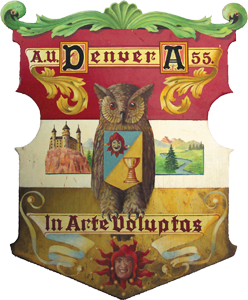 Their 'mascot' is the eagle owl (bubo bubo) symbolizing wisdom, virtue and humor (the owl itself presents knowledge and wisdom) and they bear some resemblance to Freemasons. Wikipedia® - The Free Encyclopedia has more information about Schlaraffia®. 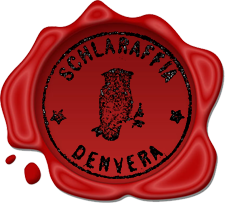 Schlaraffenlatein.com has more information about Schlaraffen Latin. Would you like to learn more about Schlaraffia®? Speichern Sie Ihre Daten auf Dropbox und greifen Sie von überall aus sicher darauf zu.